Bringing collectors the movie version of everyone's favorite swordsman from the Straw Hat Pirates Crew, it's Roronoa Zoro! 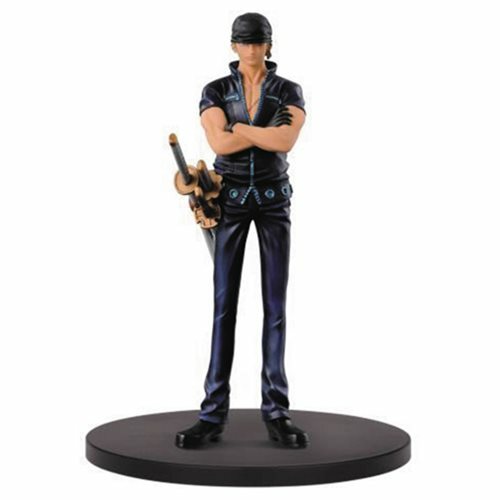 Based on the 2016 feature length film, One Piece Film: Gold, this One Piece Film: Gold Roronoa Zoro Grandline Men Statue stands over 6-inches tall! Collect all the Film Gold characters to show off the heroes in all their movie costumes (Sold seperately)! Ages 15 and up.